No one expects to have surgery to remove lumps from their breasts in their 20s, but that’s what Emily Brunemann faced earlier this week, as the open water star announced on Twitter that she had several benign lumps removed from her breast. I had to have surgery to remove three of them. I am happy to report they were benign. Catching these early is extremely important. Brunemann found two lumps in her breast after a self-examination in March, which led her to a visit to the doctor’s office for a biopsy. Because the discovery took place just one month before she was to compete at the USA Swimming open water nationals, surgery was postponed. Nationals served as a qualifier for the world championships, where the top two finishers would race in the 10K event that would qualify the first 10 for the Olympics. Brunemann finished fourth at nationals, qualifying for a spot on the Pan American Games team. With the Pan American Games in July on the horizon, Brunemann found the mental strength to train through the summer knowing she had lumps – albeit benign – in her breast. Her husband, Michael Klueh, remained a pillar of support, as did her coaches and teammates at Club Wolverine. Brunemann was fourth in the 10K race at the Pan American Games in Toronto, then proceeded to plan for her surgery. Two weeks ago, on a trip to attend the wedding of fellow swimmer Michael McBroom, Brunemann received a phone call from her surgeon. The surgery at University of Michigan Hospital was a success, requiring the removal of a five-centimeter mass of tissue from her breast. 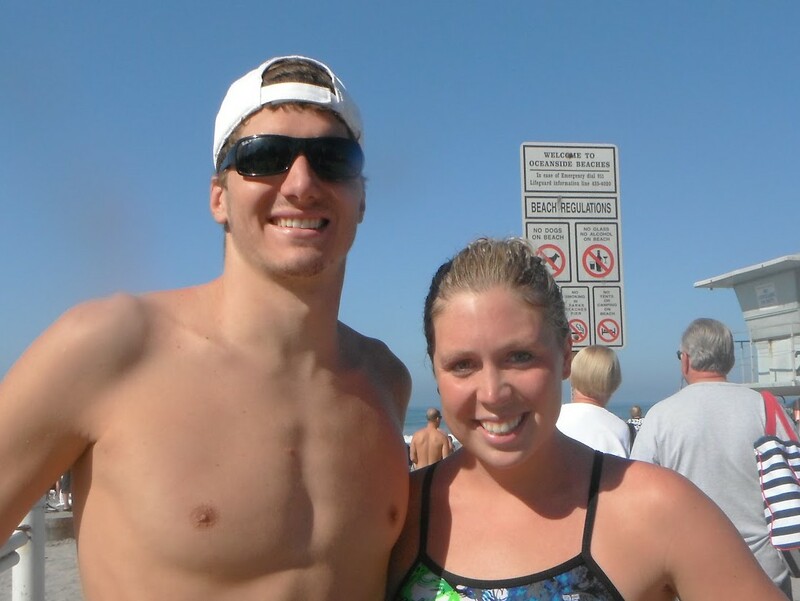 Brunemann is taking a couple of weeks off to recover and is excited to return to the water and resume training. As is the case with everyone who has found a lump in their breast, a successful surgery does not mean she never has to worry about lumps returning. But, she said she knows how to detect anomalies and what steps to take. Two things stand out regarding Brunemann’s health scare. First, she’s in her 20s (she turns 29 on Friday), which is extremely young for a woman to find a lump of any kind in her breast. Second, her family does not have a history of breast cancer. Brunemann, who won the 1650 freestyle for the University of Michigan in 2008, attributes being an athlete as one of the reasons she was more aware that something was not right with her body, and hopes other athletes learn to take control of their health. Good luck!!! You’re so pretty!!! I think benign and cancer are contradictory in this title. What a great article! The media does not write about the American elite athletics enough. It is the way to give our children the positive roll models they can use to better their lives.